I hand-dye fiber for spinning. Sometimes, I can’t help myself–I have to spin some of those braids myself, so I make some handspun skeins of yarn for sale as well. Occasionally, I also make dryer balls. Only half a year! I opened shop in March 2014. I’ve been a crafter all my life, but I’ve only recently entered the “indie artist” category. I have an insatiable appetite for learning how to make and do everything. Years ago, I started gardening to grow my own vegetables; then I started canning jam, salsa, pickles, and more. A few years ago, I decided to grow cotton–a friend asked me why I was growing it, and I said “I dunno, maybe I’ll make yarn from it?” A few questions later, she realized I had no idea what I was going to do with it and she “came out” to me as an avid spinner. 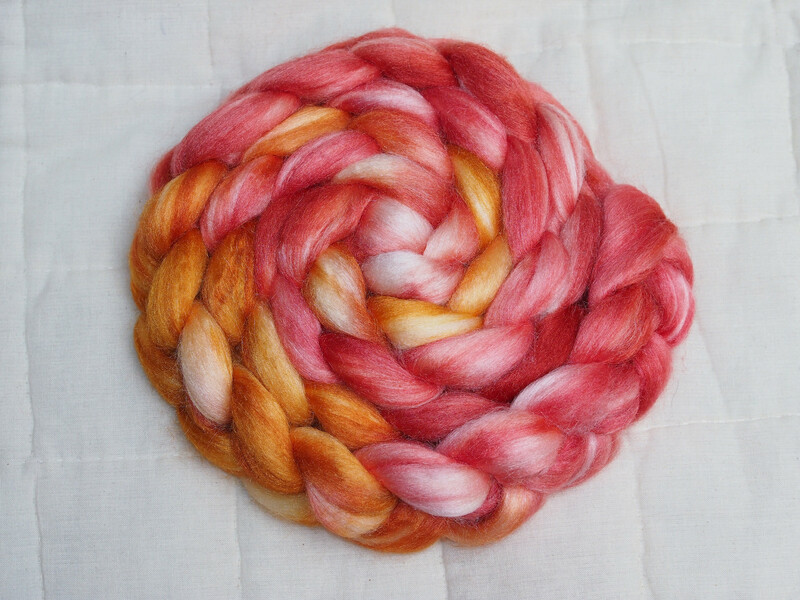 She showed me how to spin the cotton I grew, and I fell down the fiber rabbit hole with incredible speed: I bought a raw fleece before I bought my first wheel, and I started dyeing shortly after. I most enjoy seeing what spinners turn my hand-dyed braids into! I really enjoy the dyeing process as well–but seeing my braids “grow up” is extremely rewarding. I don’t have a favourite colourway–there is just too much lovely to pick only one! 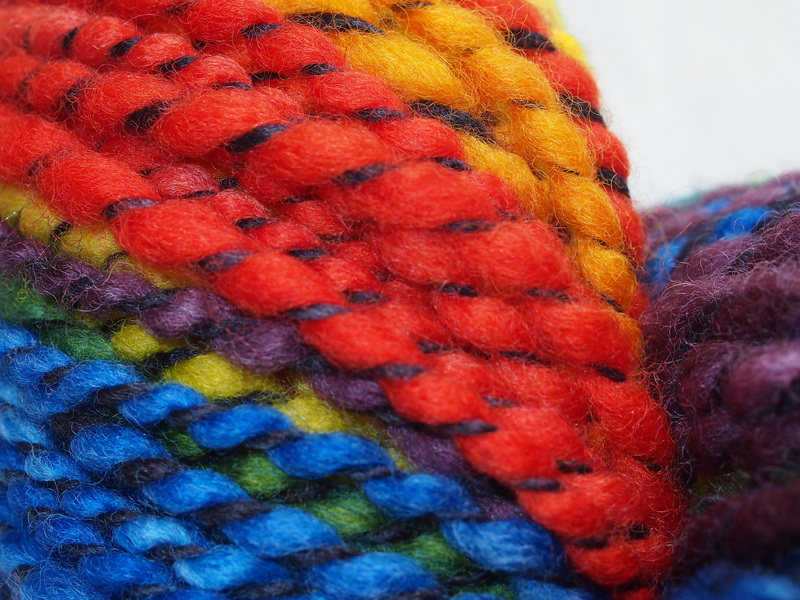 I do have a favourite fiber–yak! I love yak so hard that I had a custom blended top created for me: Polwarth/Yak/Mulberry Silk 50/25/25. 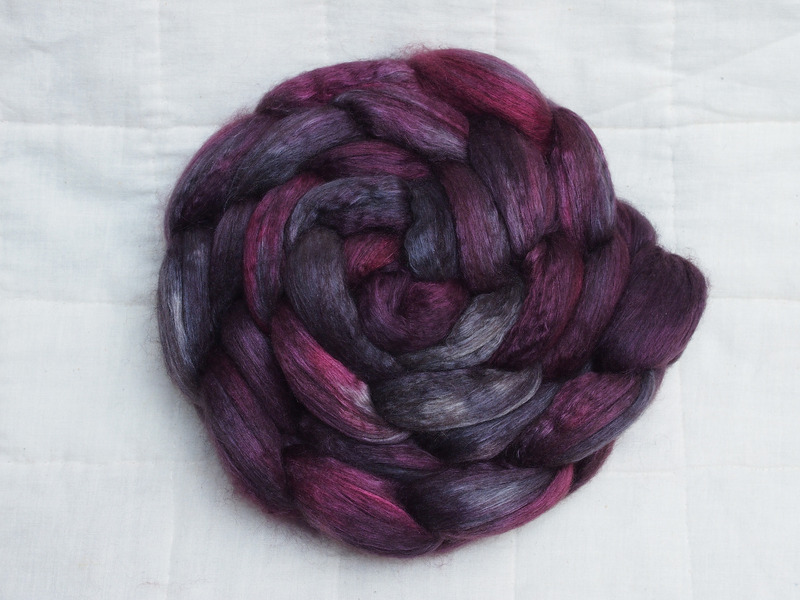 It is a decadent blend beyond description, it takes dye gorgeously, and it spins like a dream. With my hand-dyed fiber, I strive to offer unique, saturated colourways dyed on quality fiber for any purpose. 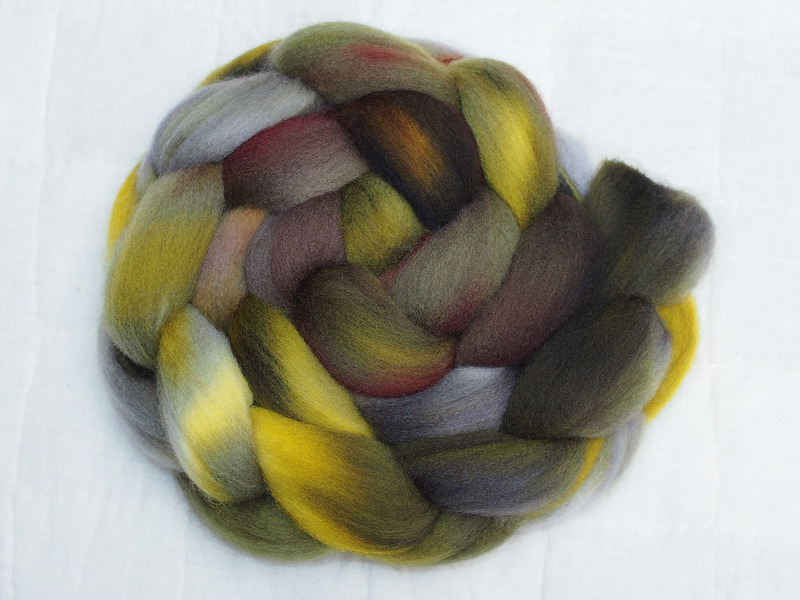 I have several main bases I offer: Falkland, Rambouillet, Bluefaced Leicester, Yak/Silk, and my new custom blend, Polwarth/Yak/Mulberry Silk. 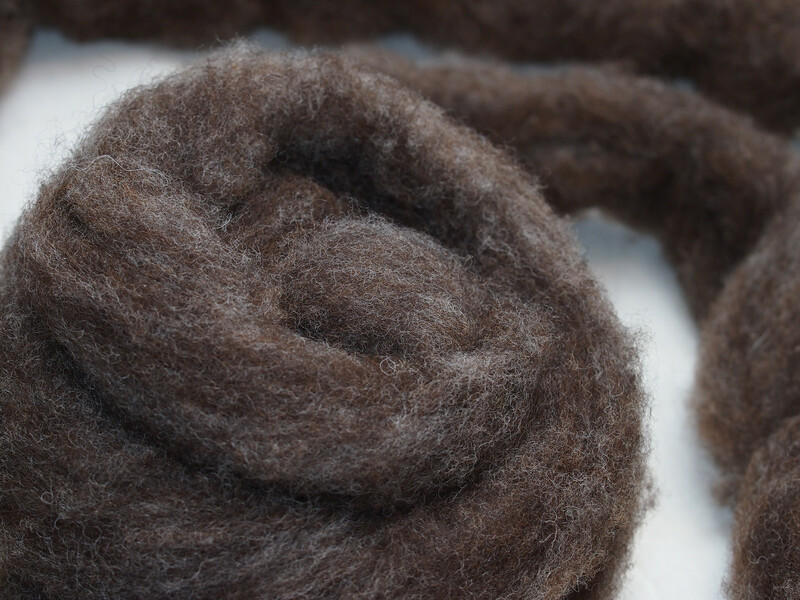 I also offer quality roving from fleece hand-selected by me at local farms and fiber events. Does it ever! Storage space? Filled with fiber. Social life? Scheduled around dye nights. Coworkers at the regular job? Think I’m a little off-centre. But I love dyeing and spinning and wouldn’t have it any other way!